Visit www.pmtransform.com for more updates. 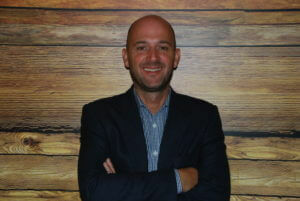 As Global Chief Revenue Officer, Marco is responsible for growing the Performics business globally. With 20 years’ experience in media and 15 in digital, Marco works across marketing, new business, the product roadmap, commercialisation and driving innovation strategy in the performance space. Bertozzi was ranked as the fourth most influential person working in digital by The Drum, ranking in the UK’s top 100 digital professionals in the industry. Today he is with us to talk about dmexco. Don’t miss out! How would you define dmexco? To me, dmexco feels like a professional networking event. I think there are a lot of conferences where people sit on stage talking and presenting, and of course they do that here at dmexco. At this event, many businesses are starting up, everyone is there giving you the opportunity to sit down to talk and demonstrate tools and platforms. It’s a real business conference where the idea is to get business done and not just shake hands. For that reason it feels it has a unique place on the conference agenda. Thousands and thousands of people are coming to this show. For the first time, Publicis Media and its brands will have a collective home base at dmexco. What does this mean for Publicis Media? The strategy this year for Publicis Media at this big event is very much for the first time to show the unity of all the brands and all the practices. It’s important because in previous years we had different agencies talking in different ways, not necessarily all connected. This year we have a very united, connected organisation where people are working together. Obviously, each of the brands has its own identity but it is important that we are seeing them as a group. I think in today’s media landscape the group is incredibly important now. The three main pillars for Publicis Media are Trust, Talent and Transformation and the theme of this year for Publicis Media is Transform. What’s the meaning behind this? Our clients, our own businesses and even how consumers live has never been more disrupted by technology. We are all adapting to a new, exciting world. As a group, we felt it vital to reflect that change and demonstrate that we are building for a future where advertisers are looking for much more nimble, flexible and bespoke methods of engaging the marketplace and their consumers. We have undertaken a top to bottom reorganisation to transform ourselves, we have in effect ‘disrupted ourselves’ from within and so we emerge as a business that is future proof and set up to help our advertisers succeed with their own business. This year is the year for the data management platform. All the advertisers are taking this very seriously now. I worked with the numbers on who has implemented DMPs (data management platforms) globally and for those advertisers, taking control of data and understanding what customers are doing is essential. They must talk to consumers in the right way, with the right message in the right order and at the right frequency. What do you think will be the most important developments in marketing over the next year? How advertising data is connected to offline shopping CRM data. We´re still working on how we connect on and offline and I think for the industry, the most important thing would be using this technology to demonstrate what is happening in store when you spend a euro online. The offline advertisers know what happens to their sales if they spend 1 million euros on TV. We haven’t been able to do so well in digital but the big change will come with all the technology that has the ability to fuse different data sets, and that will lead to much more effective accountability.